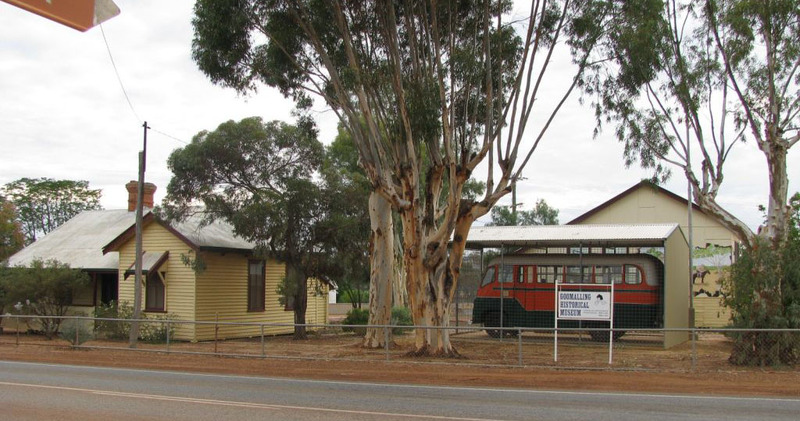 Visit the Goomalling Schoolhouse Museum for a glimpse of local history. 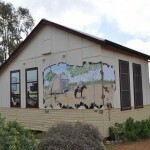 There is a display of old machinery, a rare windmill, plus a school room and adjacent school master’s residence restored to reflect the 1900-1940 era. The 1906 headmasters’ house consists of rooms decorated in the style of the era with an external laundry room. It also houses the Roads Board conference table and chairs, and framed photographs of many of the Roads Board members. The re-sited Konnogorring one-teacher school, which operated between 1925 and 1973/74, has been restored and furnished to typify the local and isolated schools which were scattered throughout country districts. 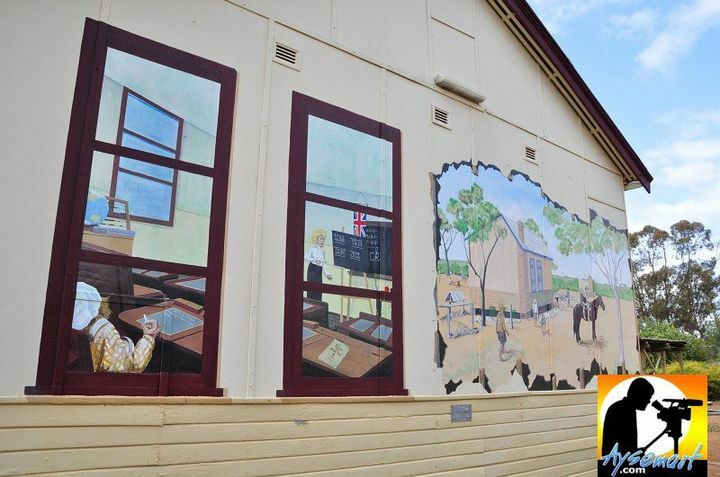 The school museum mural, completed in 2008 by Roy Smith, was designed and painted to give some insight into school days during the time of one teacher schools. 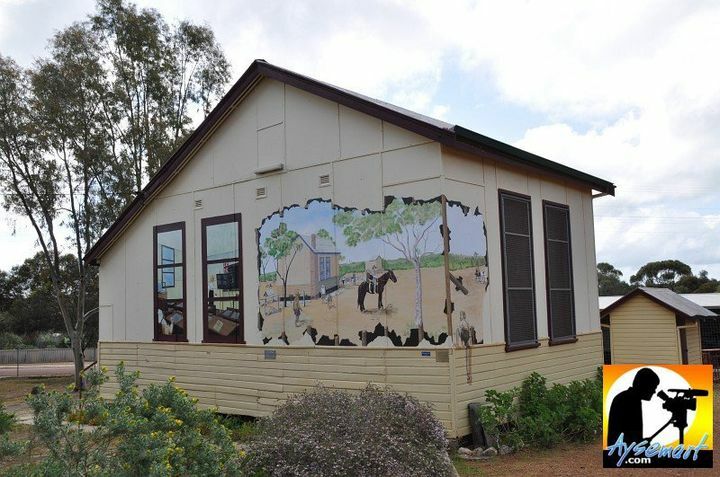 The shed features old and rare machinery and equipment from the area such as a clover harvester, rabbit eradication paraphernalia, blacksmithing equipment and one of the best windmill head collections in the Wheatbelt. A transportable room was added in 2013 to house the telecommunication and various other collections. 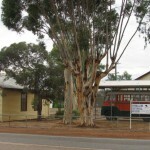 A 1950’s Austin school bus and a century old wooden wagon, used for carting wheat locally, are also part of the collection housed within the museum precinct. The museum collection includes an array of photographs and documents pertaining to the area, including family photographs and histories, homesteads, organisations and buildings of significance to the area. The museum is open the first Saturday of each month from 10am and at other times by appointment. Call 9629 1185 (Harold), 0429 906 918 (Therese) or 0439 493 748 (Peta). 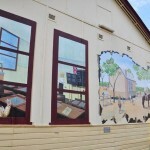 The book Goomalling – a Backward Glance gives a detailed account of Goomalling’s history. Goomalling’s Classic Racers by Graeme Cox depicts the classic motor races held in Goomalling between 1949 and 1955.